I attended the Stern School of Business at New York University and received a Bachelors of Science in Finance in May of 2004. From 2005-2010, I worked as an Investment Analyst in New Jersey, New York City and Philadelphia, securitizing Commercial Loans for sale on the open Bond Markets. In 2010, I moved to Las Vegas to enter the Real Estate sales business. Since 2010, I have proven myself to be one of the top Real Estate Agents in the Las Vegas/Henderson valley with my great attention to detail, hard work and rock solid ethics. I plan and hope to serve the great people of Las Vegas and Henderson for years to come. In my free time I enjoy everything the Las Vegas Valley has to offer; from hiking to the wonderful entertainment shows. 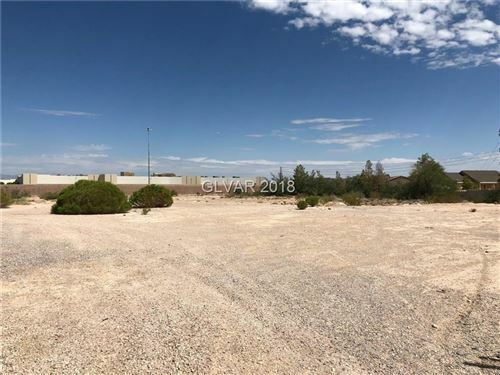 "That's really thinking at an imivssepre level"
"Jason listed a property for us in Henderson. From the first time we spoke all the way to the very end he was extremely professional, courteous and competent. We could not have had a better experience. He was on top of things every step of the way and kept us well informed. I would not hesitate to use him again or recommend him. FYI I am an out of state investor and have worked with several Realtors over the years so I speak from experience, Jason is one of the best. " "Jason is a phenomenal realtor. He was very knowledgeable of the market. He answered all of our questions and kept us abreast of the details of our transactions. He made buying a home a good experience for us. We felt like we were in good hands. I would recommend him to anyone that is interested in buying a home. He would even contact us after escrow closed to make sure everything was going smoothly with our transition. He was very attentive to us and was very much on top of everything. We couldn't be happier with Jason and we will continue to use him in the future when buying and selling property." "Jason has sold 2 homes for me, and sold me one. I would highly recommend him. He is trustworthy and his ethics are second to none. You will not be disappointed if you choose to use Jason Schielke as your realtor. He keeps you informed every step of the way without you having to seek him out. Do you want to sell your house? Jason Schielke is the right choice." "We used Jason to purchase a house and to sell the same house 4 years later. He is the best! We bought our first house in one weekend because Jason knew exactly what we were looking for. We sold that house within one week because Jason knew exactly how to price and market it. He has a great personality and is fun to work with. He was always there when we needed him and always answered questions in a timely manner"
"Jason made this process of selling/buying painless. Our home was sold in under a week. He was very professional, punctual, and there to answer any questions or help with any concerns we had." "May I sincerely thank you for all your hard work that you contributed to the sale of my house. I am so grateful for your wonderful ability to explain the real estate process and to keep me up to date with what was happening and for your careful attention to detail. If I can apply your services on any other occasion and or assist you by telling my friends within the Las Vegas area of your excellent service you can rest assured that I will. Thank you again for your time and patience." 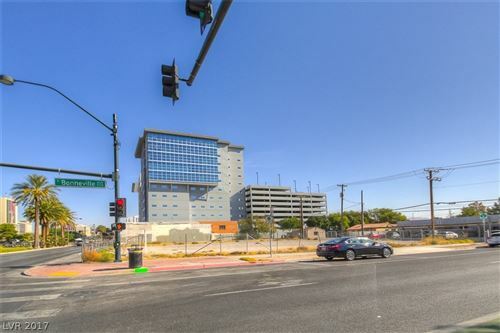 "I have worked with Jason in the purchase of three Las Vegas area properties over the last five years, and I cannot say enough positive things about him. Not only is Jason very knowledgeable, competent and professional but also patient and enthusiastic. He is always available to answer calls and show properties and is good at communicating with banks, title companies and other agents. Having been a real estate investor for over forty years, I have a lot of experience with real estate brokers and agents, and I can recommend Jason without hesitation. He is top notch." "Jason sold our property within a week of listing it and for more than what we were asking for! His knowledge of the market, our neighborhood and the home selling process were second to none. He constantly communicated updates on the escrow and loan process throughout the transaction. We are buying another home from him now and are so excited to move." "Jason was Available. If I sent him an email, he responded within minutes. Did a great job in the negotiation process , extremely knowledgeable in the field. Last but not least, he was a pleasure To work with, very friendly and on time for our appointments every single time. I would and will recommend him to anyone looking for a home." "Was very helpful and knowledgeable with every minor detail involved with my first home buying experience. I recommend Jason to all of my insurance customers on a daily basis, as I want the best service possible for each person I work with." "Jason is a fantastic Realtor and is really a cut above the rest in Las Vegas! I purchased my first home in 2012, and just recently, a second home. During both transactions, Jason was always professional, knowledgeable and responsive. As anyone who's purchased a house knows, time is of the essence in a real estate transaction, and whenever there was a question, Jason always responded quickly - both to me and to all the other parties (e.g. the seller, the lender, home inspector, etc.) involved in the transaction. On my most recent purchase, he really went the extra mile to help me when a specific issue came up with the seller, and he was able to get it resolved quickly. I would definitely choose Jason to purchase or sell any properties in the future, and would recommend him to anyone looking for the best Realtor in Las Vegas. Simply put, by choosing Jason, you're getting a Beverly Hills like Realtor right here in Las Vegas. " "Jason is a fantastic real estate agent. He was extremely knowledgeable about each step of the process and knew everything there was to know about the local real estate scene. He was always ready to give us answers and advice at each step of the way. At the same time, he never put pressure on us to make decisions. He allowed us to take each step at our own pace. We learned to trust everything that he told us because he was always spot on with everything that he said. We also appreciated whatever opinion he offered to us. It was always genuine and sincere. He always made himself available whenever we needed him. He is also willing to go the extra mile for his clients. On the day that we closed on the house, the air conditioner in the house stopped working. He tirelessly worked with the home warranty people to make sure they would take care of it -- even though they initially insisted that the home warranty would not cover it. He must have spent hours with them on the phone. And then he "
"Being the child of a Realtor, I have rather high expectations from any Realtor I deal with, and generally find myself wanting more from them. Jason Schielke is one of the few that met all of my expectations. I have worked with Jason Schielke with both purchasing property and selling property in the Las Vegas area. He was excellent in both processes. He knowledge of the area is keen, and his ability to work with both my needs and address other professionals (realtors, title company, escrow, housing inspectors, appraisers, etc.) is second to none. I would (and will) absolutely use him for any properties I purchase or sell in Las Vegas." "Jason is the best! I highly recommend his excellent service!" "I don't normally write reviews, but felt compelled to do so for Jason. He was outstanding from our first meeting, to close, and even after. He was always responsive, and accessible. I never felt as though I was inconveniencing him and he always took the time to answer and explain every question we had, and we had a lot. He was easy to talk with and has a great personality. He kept us up to date and followed up with us on a regular basis. Our particular purchase was a short sale and I feel without him we would not have this home today. In addition, he is an invaluable resource and has many contacts with painters, handymen etc. You will be very happy you chose him. We are." "Jason recently helped us sell a house in Vegas. He's very responsive and helpful. We live out of town which prevented us from actively getting involved in the repair, remodel, and selling process. Jason helped us find the contractors, collect the bid, follow through the work, updating us every step of the way. He's knowledgeable and trustworthy. Definitely highly recommended!" "I recently got into my first home and Jason was a big part of of it. I had a lot of questions being that this is my first home and i didnt know much about anything but for the whole process, jason had my back from the beginning until the end. I was even asking him questions that my broker should have been answering for me but he was a little difficult to get a hold of. Jason is a very nice guy over all and he knows what he is doing. With any questions that you may have he will reply right away and if he does not have the answer, he will make sure he finds it for you. I had some tiny bumps on the road with the lender but Jason made us feel at ease the whole time. Jason is definetly 100% recomendable i have nothing bad to say about him!" "Jason helped us buy our first home and he was extremely helpful!! I told him all the things that I wanted as far as area, price, bedrooms and extras. He sent me emails with all the info. I needed to go and look. I asked him about another builder and he had me registered and ready to start loan paperwork with in the hour. This was in September and today I am unpacking boxes in my Brand New home! Jason was there for the pour of the foundation, the walk through (twice) and all the paperwork. If I had a question he was always there no matter when I text him! I also recommended him to my family!!!" "I cannot recommend Jason's services enough. Coming from Europe, the whole ethos of Real Estate agents is completely different. Can't say I entirely like the US way of doing things but that's besides the point! The main issue is, having lived in Vegas for a few years and dealt with some pretty odious Realtors, Jason stands head and shoulders above as a shining example of how things should be done. Professional, understanding, human and entirely non patronizing - this means that I'll certainly use his services again and recommend him thoroughly to others seeking a Realtor to work with in LAS." "Jason's been my Vegas agent since i first started investing there and has represented us in over a dozen deals. I've been in the real estate game for 3 decades and he is one of the best agents I've worked with. Whether it's a buyer or seller representatiuon, you will be in good hands if you partner with Schielke and Associates."